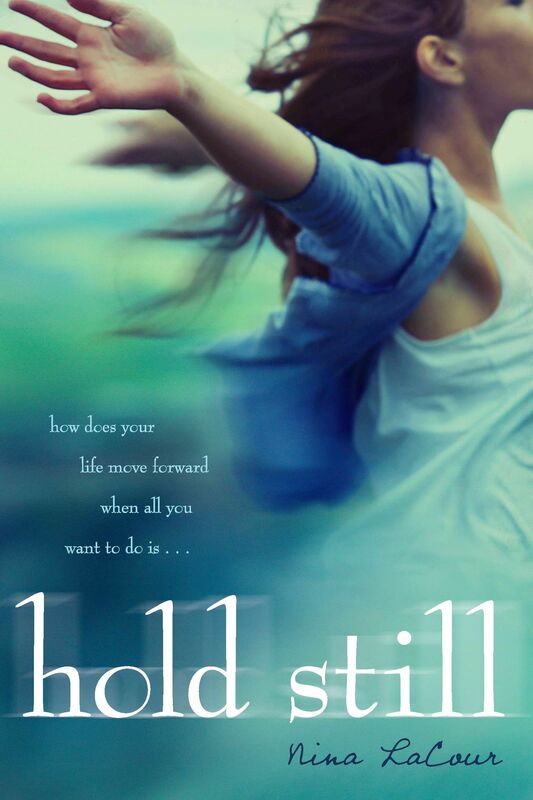 Synopsis: Hold Still tells the story of Caitlin who recently lost her best friend Ingrid, to suicide. Ingrid and Caitlin shared everything together, and Caitlin is facing an unknown life without her best friend to laugh, cry and share her secrets with. One day Caitlin finds Ingrids journal under her bed, and through her journal, Caitlin gets to see another different, darker side of Ingrid. The journal becomes sort a guide to Caitlin as she deals with returning to school, forging new friendships and falling in love for the very first time, without her best friend to share it with. You may wonder why I chose to review this book for the GAY YA, and that’s because the author is not only gay, but Hold Still features a queer girl character. But I’ll talk a bit more about this later. The reason I read this book was because I had heard so much raving about Nina LaCour’s newest book, Everything Leads to You. I was buying books for my library and the only book they had available for purchase was Hold Still. I bought it, received it, read it and here I am, an emotional mess because of this beautiful book. First off, I want to talk about LaCour’s beautiful writing style. IT IS SO BEAUTIFUL AND MY HEART JUST MELTED! She writes so poetically and full of emotions and it just hits me right in the heart. Her tone is funny, sarcastic and very realistic. Her metaphors are easy to understand and relate to, and it makes me feel as though I am the one grieving the loss of my best friend to a suicide. It takes talent to write that well. Second, the characters. Oh my god, the characters. The characters are so well-written and well-rounded. All of them come to life in my head and I really feel like I am a part of this book. Caitlin’s grief, her struggle to find new friends, her relationship with her parents, teachers and her old classmates. Caitlin’s new friends are written beautifully and they all have depth and emotion to them. Every character in this book has a purpose and they all bring something new to the story about Caitlin and Ingrid. My favorite character is, of course, the queer girl and Caitlin’s friend, Dylan. She has gone through some of the same stuff that Caitlin has been through and their friendship turns out to be one of the realest ones I have read. Thirdly, I absolute loved, adored, and devoured this book. It left me speechless and I cried many times. I love how this book is about grief, but it is not one of those immensely sad books that you get depressed after reading. No, this book has humor, love and carrying on as important subjects. It also shows how art or doing what YOU love can help you get through even the hardest of times. Like I said earlier, the main reason I wanted to review this book for the GAY YA is because it features a very realistic f/f relationship and it also shows how completely normal a friendship between a straight and queer girl can be. I love Dylan and Caitlin’s honesty with each other, and I love how Caitlin can ask Dylan about relationship advice without it being cheesy. I also loved that Caitlin has male friends that she’s not attracted to and that she still manages to be their friend. This book just displays some simply amazing and wonderful relationships of all kinds. Final thoughts: Read this book if you want to laugh and cry. Read this book if you want to read a book with good and strong friendships. Read this book if you want a queer girl character. Read this book if you want to read a beautifully. Just read this book. IT IS SO BEAUTIFUL. This is how Caitlin describes Dylan when she sees her girlfriend, and I just died from the beauty of it. Thank you for reading and thank you to Vee at @thegayya for allowing me to write this weird review. It is not a review per ce, but my thoughts and feelings and rambles about this stunning book.